Did you know that whilst nearly 70% of our planet is covered in water, less than 1% of it is accessible fresh drinking water? That leaves very little to spread around the 7.3 billion people who inhabit our planet. Making matters worse, according to the United Nations, water usage has increased at twice the rate of population growth over the past 100 years leaving more than a billion people living in areas where water is scarce. We are now faced with the challenge of how to effectively conserve and manage the fresh water that we do have available. ​As Australia is one of the driest continents on earth, we know all too well how precious and vital our water resources are. Luckily, for us we can all make a difference. Our Rockingham plumber is a registered Waterwise plumber. He doesn’t only fix problems in your home, he can also give you advice on how to make your home more water efficient. He can recommend and install the most water efficient and cost effective appliances including water heaters, washing machines and fridges. If you need a Waterwise plumber in Rockingham, give call Bell Plumbing & Gas today on 0410 662 469. Did you know “seek a leak” week runs between 18 March - 22 March 2019? Let’s all get on board and take 5 minutes out of our busy schedules this week to check for water leaks in our homes. Find your water meter (usually located at the front of your property). Test for leaks by turning off all the taps and water-using appliances in your home. Got to your water meter and record the black and red numbers shown on the top of your meter. Wait for 15 minutes, then check to see if the red numbers have changed. If they have, then you have a leak. Check your washing machine and dishwasher connections to be sure they are not leaking. Go outside and check your garden hoses and retic to ensure they are not running and that your air conditioning units are not dripping. A good clue that there might be a hidden leak in your pipework is if an area of your grass or lawn is soggy or greener than the rest of your lawn or if you find damp or discoloured patches on your walls or ceilings. ​What do I do if I think I have a leak? Easy. 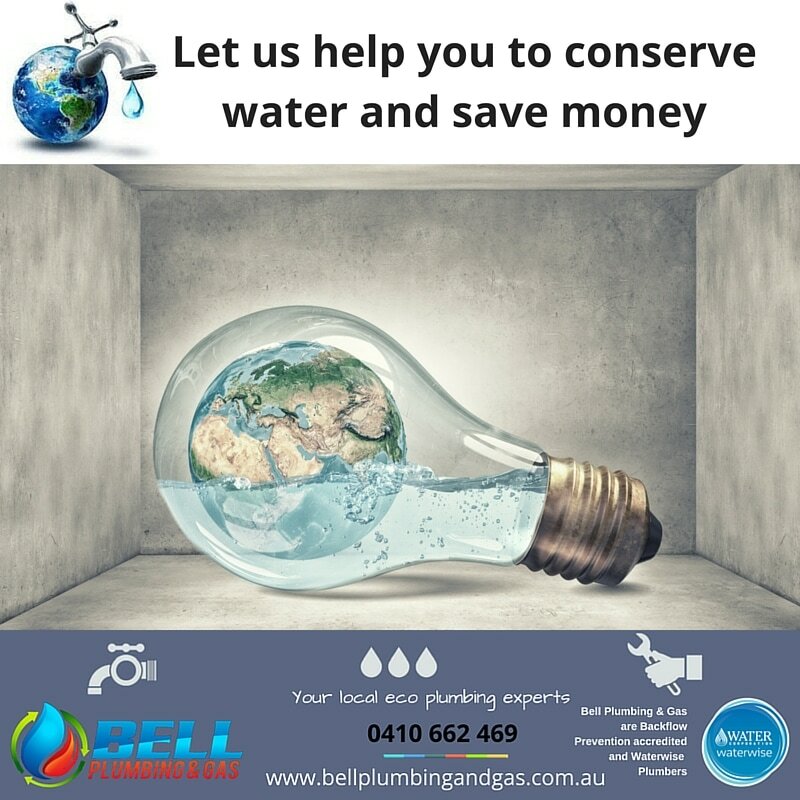 Just call Bell Plumbing & Gas on 0410 662 469. We will assess your home for leaks and detect any damaged pipework, hoses, toilet cisterns or hot water systems using non-invasive methods. You can be assured that we will isolate any problem areas and make repairs before more damage is done to your home. Additionally, if you have had a hidden leak for a while, you may notice a large increase in your water usage on your next bill from the Water Corporation. In this instance, you may be eligible for a leak allowance. If Bell Plumbing & Gas repair your hidden leak, we can complete a leak allowance form for you and submit it to the Water Corporation. Alternatively, you can download the form yourself but note, a licensed plumber or a waterwise garden irrigator must first repair the leak. ​On 22nd March we celebrate World Day Day. Whoever you are, wherever you are, water is your human right. This #WorldWaterDay, the theme is 'Leaving no one behind'. Why? Because 2.1 billion people live without safe water in their homes, schools, and workplaces. ​Having access to 'safe water' means having water that is close by whenever you need it and is free from contamination. Access to safe, clean water, underpins our public health and is critical for our survival. However, 1 in 4 primary schools have no drinking water service, more than 700 children under the age of 5 die every day from diarrhoea linked to unsafe drinking water and poor sanitation, and around 159 million people around the world collect their drinking water from surface water such as ponds and streams. To 'leave no one behind' we must focus our effects towards including people who have been marginalised or ignored. Water services must meet the needs of all people. Get familiar with the issues - why are people being left behind? What can be done to reach them? Let's get involved. Celebrate World Water Day this 22nd May by raising awareness on your social media pages and talking about the reality of the water crisis and how it affects society with your friends and family. Hold or attend an event to help people living without safe water. Bell Plumbing & Gas is pleased to announce that we were awarded “WaterWise Plumbing Business of the Year ” two years running at the annual Master Plumbers & Gasfitters Association of WA and ATCO Gas Australia Awards for Excellence. Jonathon Bell, Bell Plumbing & Gas owner comments “We are thrilled to have won WaterWise Plumbing Business of the Year two years in a row. This award recognises the effort made by Bell Plumbing & Gas to promote sustainable plumbing practices and highlights our dedication to providing high quality plumbing services”. If you want to know more about our Rockingham waterwise plumbing services, why not give your local waterwise plumbing experts a call. Our friendly eco plumber in Rockingham is available 24 hours a day, 7 days a week, 365 days a year to discuss all your waterwise plumbing needs. Whether you are looking for some advice on selection of waterwise products or are interested in designing and installing a greywater reuse system in your home we can help you. Just complete the contact form on the right and our plumber will get back to you the same day. If you need urgent assistance, please feel free to call us on 0410 662 469. We service Rockingham to Mandurah and all surrounding areas. 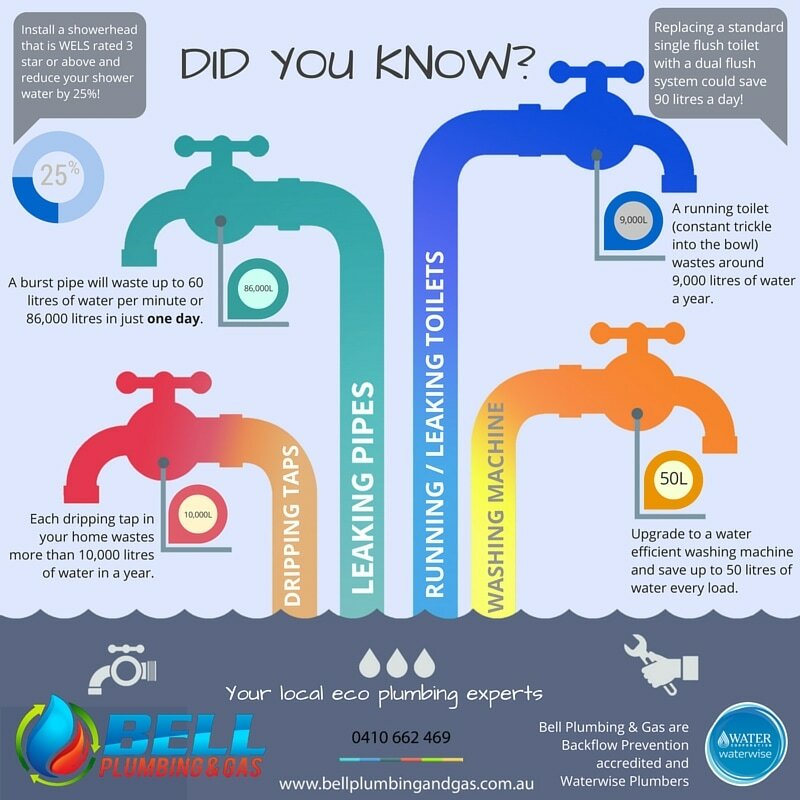 Bell Plumbing & Gas, your local WaterWise plumbers Rockingham, Western Australia. Also servicing Plumbers Warnbro - Plumbers Baldivis - Plumbers Kwinana - Plumbers Port Kennedy - Plumbers Secret Harbour and all surrounding areas.